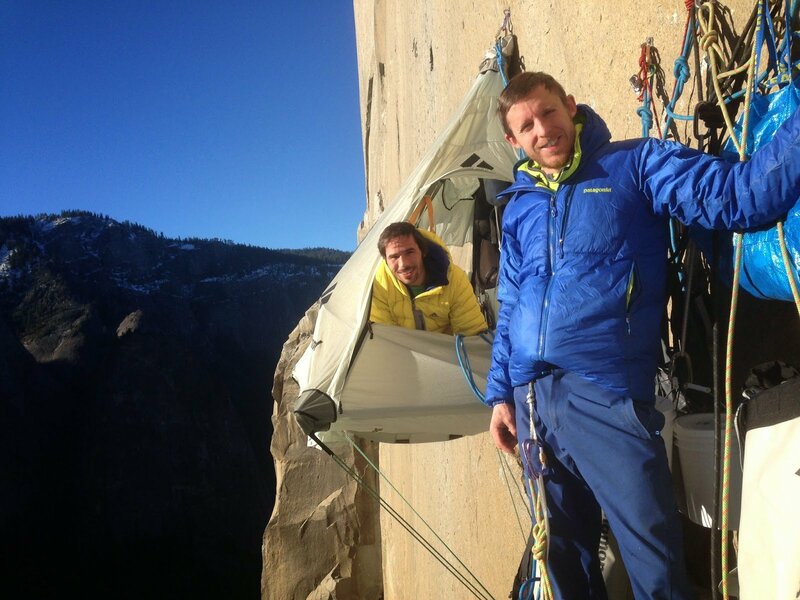 American climbers Kevin Jorgeson and Tommy Caldwell, who spent 19 days clinging to the Dawn Wall of the El Capitan rock formation in California, say they hope their achievement will inspire others. Tommy Caldwell and Kevin Jorgeson became the first free climbers to scale the sheer Dawn Wall of the El Capitan peak in Yosemite National Park. They are the first climbers to do so without the usual aids, relying sometimes on fingertip grips. Kevin Jorgeson said it should show people the importance of teamwork and persistence. Both men said they had been touched by the number of people who had been inspired by their achievement. The task began on December 27 and while scaling the 3,000ft rock, they had even climbed in darkness, when sweat was less of an issue. They took rest days to wait for their finger cuts and grazes to heal and used tape and even superglue to speed up the process. Tommy Caldwell said support climbers had provided them with fresh fruit and vegetables every five days, plus they had burritos, chocolate and even coffee. In spare moments, Tommy Caldwell said, he read the autobiography of legendary climber Barry Blanchard. Kevin Jorgeson said the Dawn Wall “personifies dreaming big and making it happen”.